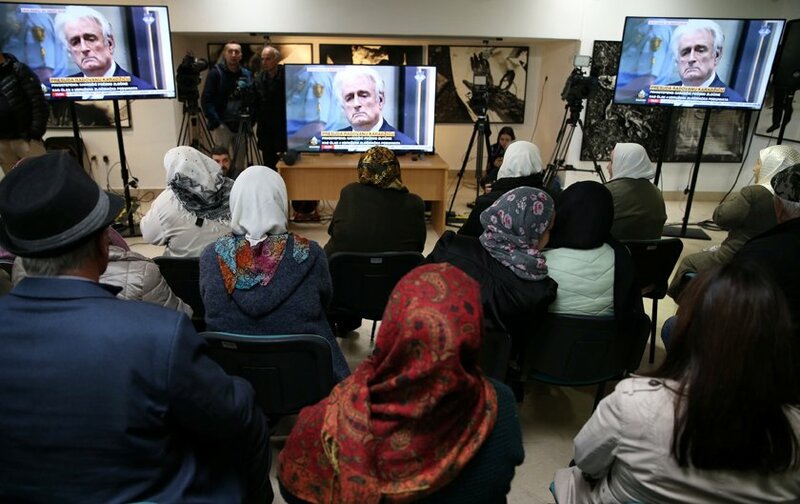 JEDDAH: Former Bosnian-Serb leader Radovan Karadzic, widely known as the “Butcher of Bosnia,” has had his sentence for genocide and war crimes increased to life in prison. He was appealing a 2016 verdict in which he was given a 40-year sentence for the Srebrenica massacre in the 1992-95 Bosnian war. 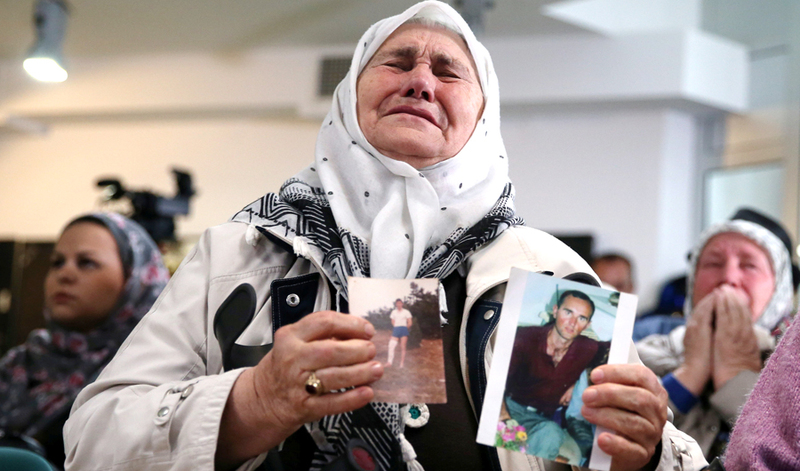 More than 8,000 Muslim men and boys were killed in the town of Srebrenica by Bosnian-Serb forces in July 1995. Karadzic, 73, was also found guilty of war crimes and crimes against humanity. The ruling by the judges on Wednesday cannot be appealed, and will end one of the highest-profile legal battles stemming from the Balkan wars. Karadzic showed almost no reaction as presiding Judge Vagn Joensen of Denmark read out the damning judgment. The former leader is one of the most senior figures tried by The Hague’s war crimes court. His case is considered as key in delivering justice for the victims of the Bosnian conflict, which left more than 100,000 people dead and millions homeless. Joensen said the trial chamber was wrong to impose a sentence of just 40 years, given what he called the “sheer scale and systematic cruelty” of Karadzic’s crimes. Applause broke out in the public gallery as Joensen passed the new sentence. Families of victims who traveled to The Hague hailed the verdict. 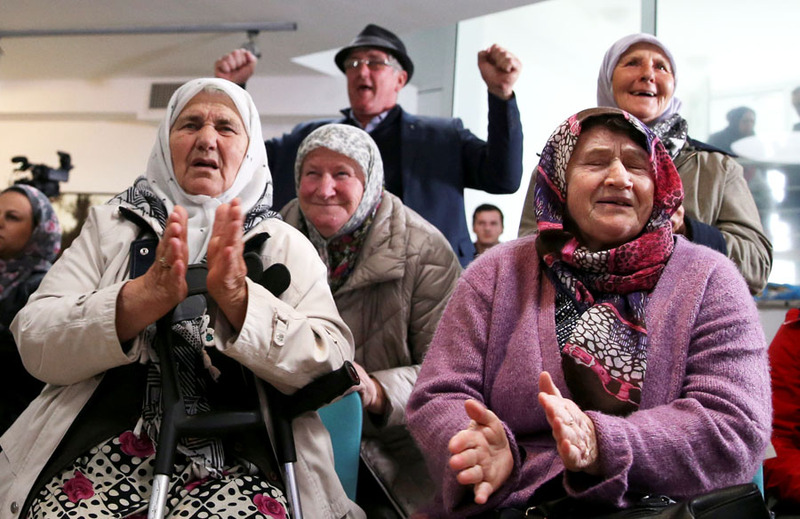 Mothers, some elderly and walking with canes, wept with apparent relief after watching the ruling read on a screen in Srebrenica. Grabus was in Bosnia during the war, and witnessed the scorched-earth policy of Karadzic and his fellow generals. A large majority of Serbs “continue to justify what he did, and continue to carry forward his hateful campaign against Bosnian Muslims,” Grabus added. Ratko Mladic, a Bosnian-Serb wartime military commander, is awaiting an appeal judgment of his genocide and war crimes conviction, which earned him a life sentence. Both he and Karadzic were convicted of genocide for their roles in the Srebrenica massacre.